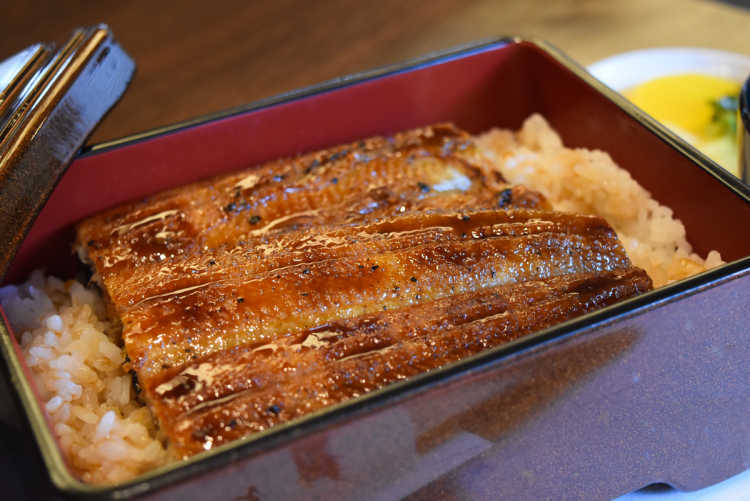 The rice harvested in Kagawa Prefecture, the eel grown in Kochi Prefecture, and the hydrogen water are used for this specialty Unaju (broiled eel on rice). They broil the skin crispy, and the meet soft, it was very delicious!◎Unajo opened in 2017 near Marugame Castle, and it's spacious restaurant with tables and tatami floor. Unaju 4500 yen.